Diane Amelia Read is the founder and lead singer of Sonho Meu. Diane began singing and playing piano as a child but it wasn't until she was introduced to Brazilian music in her late 30's that she felt the desire to perform. "When I heard street samba for the first time my heart started racing from excitement and connection. I was hooked." Diane began playing percussion with the Batucada Belles (Cambridge, MA), followed by Unidos Back Bay (Boston) where she learned from the group's leader, Jeff Francis, a great deal about the history of Brazilian music, the broad spectrum of styles and their particular rhythms. In 2000, Diane performed with Unidos do Mundo (Rio de Janeiro), and she was one of the four founding members of Samba Tremeterra (Cambridge.) While playing tamborim with the Berkshire Bateria Escola de Samba (Great Barrington, MA), Diane was invited to sing a song when the regular singer missed a rehearsal. Again, excitement and connection. She has been singing Brazilian music ever since. Diane formed Sonho Meu in January, 2003 as a vehicle to explore and perform the diverse and enticing forms of Brazilian music along side others who share this passion. Isabel Eccles plays accordion with Sonho Meu. Isabel got hooked on Brazilian cinema in the early '80s. After winning a record called "Aquarela do Brasil" (with Maria Bethania, João Gilberto, Caetono Veloso and Gilberto Gil) from WMFO's weekly Brazilian radio show, MPB (Música Popular Brasileira) became the music playing on the jukebox in her head. 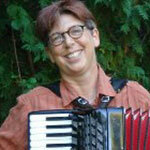 Isabel became obsessed with the accordion in her forties and remains grateful for the patient teaching of Evan Harlan. She studied classical mandolin with Marilynn Mair and is a founding member of Enigmatica, a mandolin septet playing choro, Baroque, and contemporary music. She played accordion in Steve Jobe's opera "Joan of Arc" and electric mandolin with Evan Ziporan's Gamalan Galaktica at Bang on a Can. “Playing with Sonho Meu is great because we get to play all kinds of Brazilian music. What other band goes from choro and forro to samba and lambada?! It's a blast to play with people who love the music so much.” Isabel also teaches fifth and sixth grades in the Cambridge Public Schools. 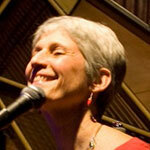 Nancy Goodman has been singing and playing with Sonho Meu since the spring of 2006. Her earliest musical memories include singing and harmonizing with her brothers to Rodgers & Hammerstein songs while they all washed dishes. She began playing flute in 4th grade and studied seriously through high school, spending her senior year in London studying with William Bennett of the London Symphony. More recently, Nancy has been expanding her approach to music. She has played improvisational flute for spiritual and memorial services, played with singer Uma Pollack to accompany a dance performance by Lyda Winfield in Gloucester, performed and recorded with Joanne Shreiber. 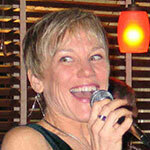 Nancy studies voice with Jacque Chambers and has enjoyed several flute lessons with Fernando Brandão. She says, "What I love most about Brazilian music is the rhythms, the soulfulness, and the vibrant energy!" Luiz Silva was born in São Paulo, Brazil and is a native Guarani indian, a tribe in the southern region of Brazil. 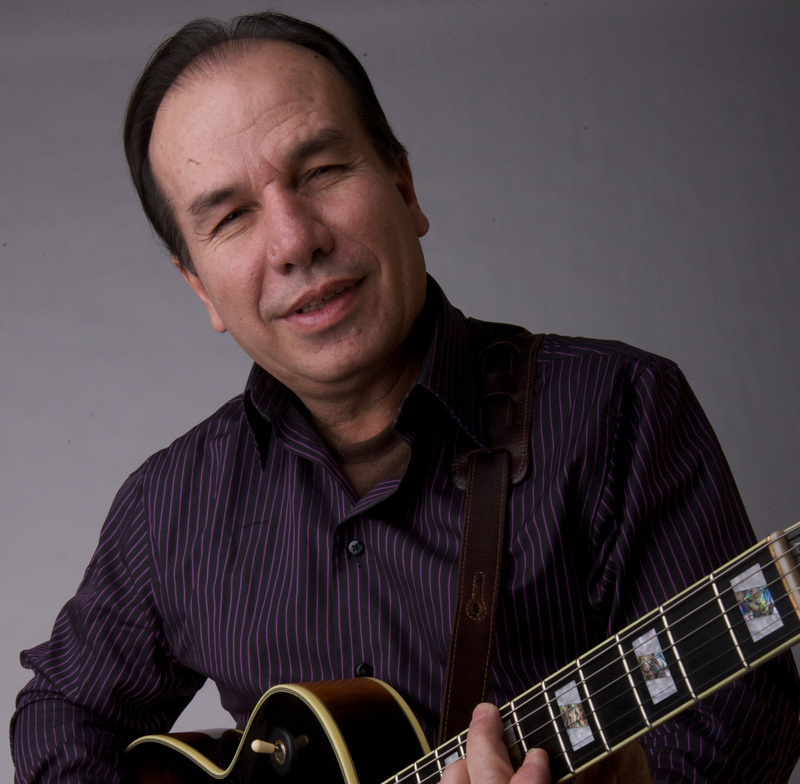 He began his musical career over thirty years ago and has played guitar in jazz and gospel ensembles spanning both South and North America from Brazil, Paraguay, Bolivia and Columbia to the United States. Silva draws inspiration from his experiences playing jazz, bossa nova and gospel music both professionally and through his ongoing volunteer work with the Christian church. His first CD was Smooth Jazz Harvest, and is followed by Easy To Play, a collection of original compositions arranged for trio that Silva has been compiling for release over the past several years. Both are available through the Luiz Silva Music website. 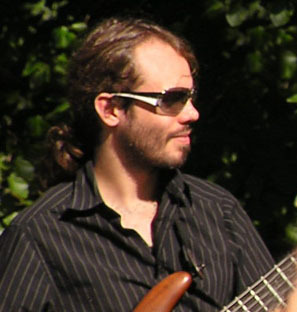 Born in Patagonia, Argentina, Ignacio Long started playing bass at age 15. He studied in Buenos Aires at the EMBA School of Music, and privately with Guillermo Vadalá and César Franov. Later he moved to New York to study at the Bass Collective with various teachers, including Matt Garrison, John Patitucci, Lincoln Goines. Two years later Ignacio moved to Boston to study Composition and Film Scoring at Berklee College of Music, where graduated in Spring 2007. Ignacio has played with several groups in a variety of events and styles, including South American Folk, Rock-Pop, Salsa, Jazz, Latin-Jazz, Tango, and Brazilian music. "The rhythms, the harmonies, the energy ... it's impossible for me to describe why I enjoy playing Brazilian music ... but I do!" Jeff Francis has been playing percussion with Sonho Meu since the bands earliest days. Growing up in Aruba, Jeff's influences included music from the Caribbean, South America, Europe, and the United States. In his early teens, he began playing in rock and roll bands but Brazilian music was "always there." Stateside, Jeff studied percussion with John Horrigan and Bob Blum. He joined Unidos Back Bay (Boston) in the early 90's and became the "mestre bateria" a few years later. 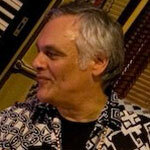 In collaboration with Deraldo Ferreira, Jeff was one of the four founders of Samba Tremeterra (Cambridge.) In 2000, he played surdo with Unidos do Mundo, the first escola de samba comprised of non-Brazilians to parade in Rio de Janeiro's Sambodromo. When asked what he likes about Brazilian music, Jeff says simply, "Everything!" Brazilian percussionist Pablo Souza is the newest addition to Sonho Meu. Skilled in traditional Brazilian drumming, he particularly enjoys playing the pandeiro. Pablo grew up in the Santa Teresa neighborhood of Rio de Janeiro, an area famous for its music scene. Influenced by Hermeto Pascoal, Marcos Suzano, Itaercio Rocha, Cartola, and Jacob do Bandolim, Pablo started learning percussion with the group Rio Maracatu, and had private lessons with percussionist Alfredo Alves. 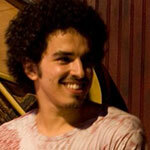 Pablo studied at Villa Lobos Music School in Rio and holds an Audio Engineering Diploma from SAE Institute Barcelona. Currently he is a Music Production & Engineering major at Berklee College of Music in Boston. A founding member of the percussion group O.P.A. in Rio, and percussionist for the samba-rock band Zazueira in Spain, Pablo now plays with Batucaxé in addition to Sonho Meu. Pablo says, "The best thing about playing samba is seeing the happy faces in the audience."